A bald eagle being cared for at the government agency's clinic following trauma. Photo via CROW. An American icon had a rough Thanksgiving. 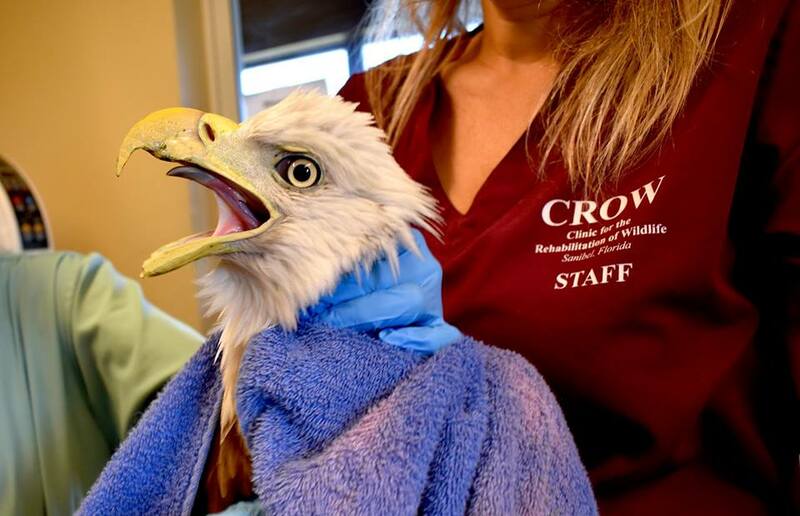 An adult bald eagle was admitted to the CROW Clinic on Nov. 22. It was seen on the ground, unable to fly while dragging its wing, according to the government agency in Cape Coral. When the bald eagle was admitted, medical staff noticed it was thinner than normal and had a mild abrasion on its feet. The bald eagle head radiographs soon after being admitted. Photo via CROW. 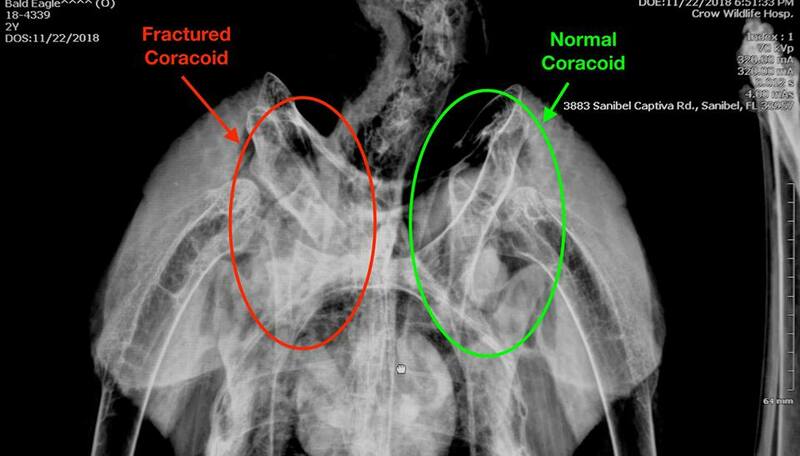 Proceeding radiographs revealed that the bald eagle had suffered a fracture on its right coracoid bone, which is similar to the collarbone in humans, per CROW. It was apparent that the bald eagle suffered some sort of trauma. The bald eagle was given pain medication. To immobilize its right wing, it was placed in a body wrap. On Monday morning, the bald eagle responded well to physical therapy for its right wing. The injury comes during nesting season for bald eagles. Nesting seasons takes place from Oct. 1 to around May 15 of the following year.